Both Machine Learning and Artificial Intelligence have prompted us to see things differently around us. We can now see machines thinking and acting like humans. It is as exciting as it gets. 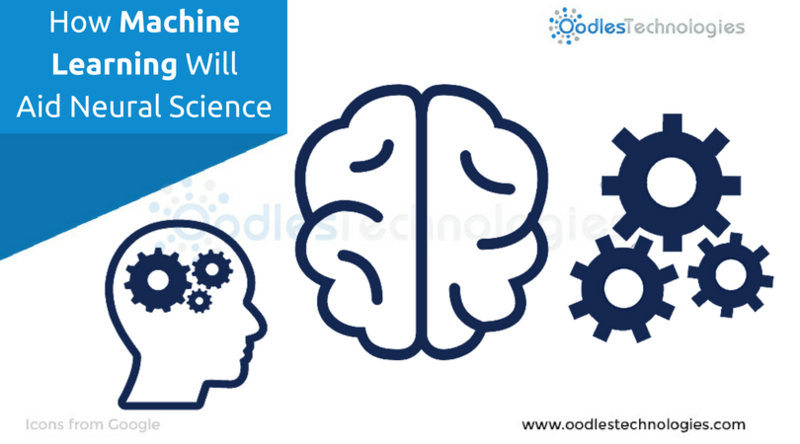 Machine Learning is now more advanced than ever before and today it is prevalent in every aspect of our lives in some way or other. The smartphones that we carry all the time, the mobile applications that we use, the Robots, the surveillance drones, the laptops and the computers, they all are influenced by Machine Learning. After bringing a digital revolution in industries, the Machine Learning has now turned toward the Neural Sciences. The American Data Scientists are trying to extrapolate the notions occurring inside the human mind through the brain signals. The idea was first proposed by a neurosurgeon from Stanford University, Dr. Kai Miller who has no teamed up with Microsoft to make it happen. Microsoft recently conducted a Cortana Intelligence Competition to gather new ideas from the brilliant minds. The theme of the competition was, “Decoding Brain Signals” and it received a great response from the audiences as well as the participants. Also read Big Data & Predictive Analytics: An Overview. The Cortana Intelligence Competition titled, “Decoding Brain Signals” began earlier this year in March 2016 and continued for the next three months. The competition was commenced on 30th March and it lasted till 1st July. The entire competition was a convergence of tech geeks, Machine Learning Experts and Data Scientists from around the world. A large number of Data Scientists and Machine Learning Experts took part in the competition and testified their skills and knowledge. The participants were asked to build intelligent models for decoding brain signals. And for that, the participants were given free access to Azure Machine Learning which is a part of the Cortana Intelligence Suit. An Electrical Engineering graduate from France, Alexandre Barachant who is Phd. in Signal Processing, was the participant who won the first prize. Alexandre ensembled three different machine learning models to build his masterpiece which in turn got him the first prize. The main objective of conducting the competition was to encourage the participants to come up with new Machine Learning Algorithms that will further aid in decoding the electrical signals generated by the brain. Dr. Kai Miller explains that “the brain can supposed to be an electrical organ comprising of a widespread network of 100 trillion synapses that further connect about 87 billion neurons.” He says, their aim is to understand the electrical signals produced by brain and decode them to read the thoughts and perceptions of human mind. And Machine Learning is possibly the perfect tool for doing that. Throughout his career as a neurosurgeon, Dr. Miller has conducted dozens of experiments on the patients suffering from neural disorders. Some of these experiments were conducted on the patients who have implanted tiny electrodes in their brain for seizure detection. The patients were shown pictures of different people, places, objects and animals. It was noted that every picture that was shown produced some kind of electrical sensation in different parts of the brain. This proves that every signal produced by brain has a certain message that can be decode to read the thoughts. The scientists are certain that if they get any success with this, it can prove to be a massive breakthrough in the field of neural sciences. If the brain signals are decoded to read the thoughts of human beings, then it can help millions of people who are suffering from some kind of neural ailment.